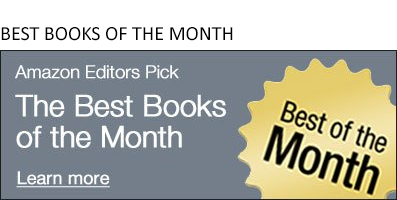 Jon Foro: We loved Bill Roorbach’s novel Life Among Giants when it appeared in 2012, and not just for the author’s larger-than-life crop duster of a mustache – its walk-on-the-Wild-at-Heart-side mash of murder, seduction, and revenge proved fun and refreshing. 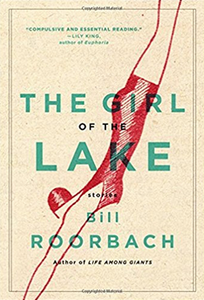 His forthcoming The Girl of the Lake (June 27), offers more of the same, this time in the form of nine short stories showcasing his talent for creating vivid, original characters, compromising situations, and honest-to-goodness human emotion. Erin Kodicek: I'm in New York this week, and after getting hopelessly lost wending my way to Brooklyn (and pretty much everywhere else), Erica Wagner's upcoming Chief Engineer: Washington Roebling, The Man Who Built the Brooklyn Bridge is calling to me. So, who was this guy who finished what his father started, ultimately erecting what would become one of America's most iconic structures? Turns out Roebling cut his engineering teeth building bridges during the Civil War for the Union Army. By today's standards, bringing something like the Brooklyn Bridge into being would be a marvel, but in the pre-computer age, it's all the more extraordinary. Armed with this bit of NYC trivia, I am headed towards Times Square...I think. Adrian Liang: You know how sometimes you hear about something twice in a handful of days, and it captures your attention as it never had before? Well, this happened to me lately with various people mentioning the writings of Michel de Montaigne. Literally a Renaissance man, de Montaigne wrote essays on love, politics, war, religion, poetry, and much, much more. I’m not sure what I’m getting myself into by going down this fascinating rabbit hole into Renaissance thinking, so please, wish me luck. Looking ahead instead of back in time, I’ll also start When the English Fall by David Williams (July 11), a debut novel in which a solar storm destroys most of modern society, and the only ones who seem prepared to ride it out are the Amish. (The Amish refer to all non-Amish people as “English”—hence the title.) As the type of person who has a go-bag in every car, I can’t get enough of books about the crumbling of society, even when I suspect deep down that I wouldn’t last long even with my LifeStraw water filter, a pack of fish hooks, and lots and lots of duct tape.